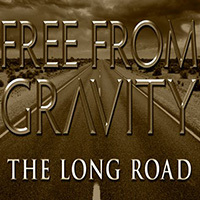 Free From Gravity: "The Long Road"
Hardship, endurance, and the struggle for success serve as inspiration for many songwriters, including the latest release by Vince Barnes and his band, Free From Gravity. "The Long Road" began in August 2010, when Barnes went to visit his mother Valerie who was suffering from stage three Hodgkin’s Lymphoma. Wanting to uplift his mother after her diagnosis, he set out to write an acoustic ballad that describes the initial shock, the difficult journey, and the ultimate triumph in her battle. The song opens with Vince’s acoustic guitar and wispy vocals, setting to sound the pain his mother is going through, while offering the comfort that hewill always be by her side. While the song is realistically somber throughout, as is the battle itself, Vince brings an upbeat feel to the chorus, filled with hope and victory. "The Long Road"' is a touching song, touching on an all-too-common experience these days. If you find Free From Gravity's song inspiring, or think it may lend inspiration to others, it is available as a free download from the band's website (with sign-up): freefromgravitymusic.com.